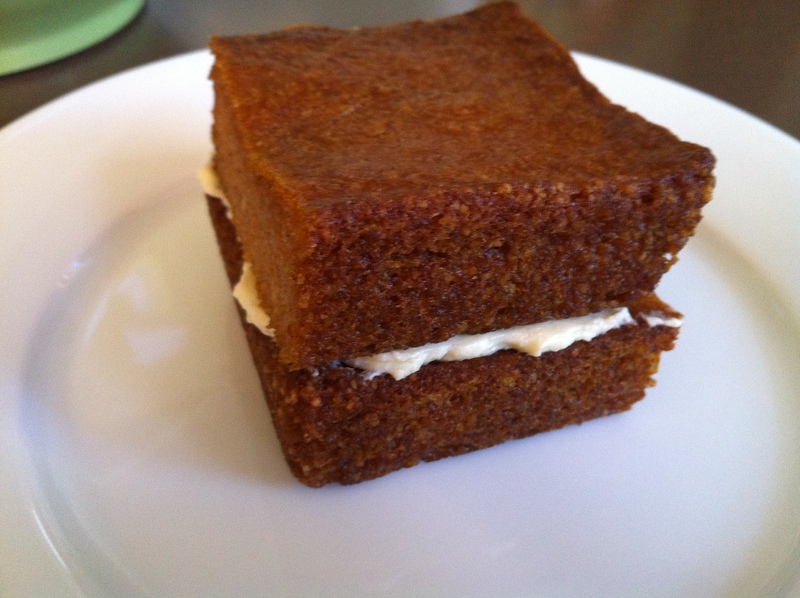 carrot cake | what is clara eating today? Mix dry ingredients together in a bowl. Add wet ingredients and mix well. Add grated carrots and mix well. 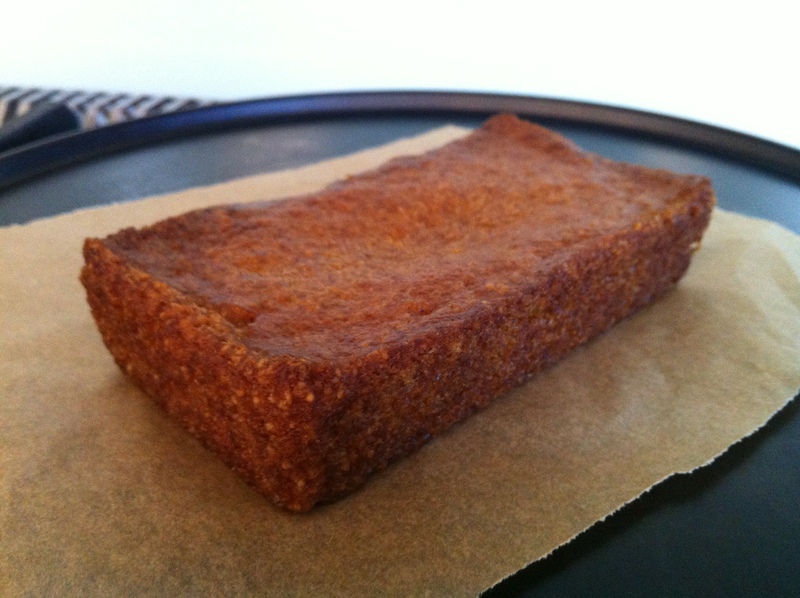 Pour into 3″x5.5″ mini loaf pan (or muffin pan). Bake at 350F for 18-20 minutes. Let it cool to room temperature. 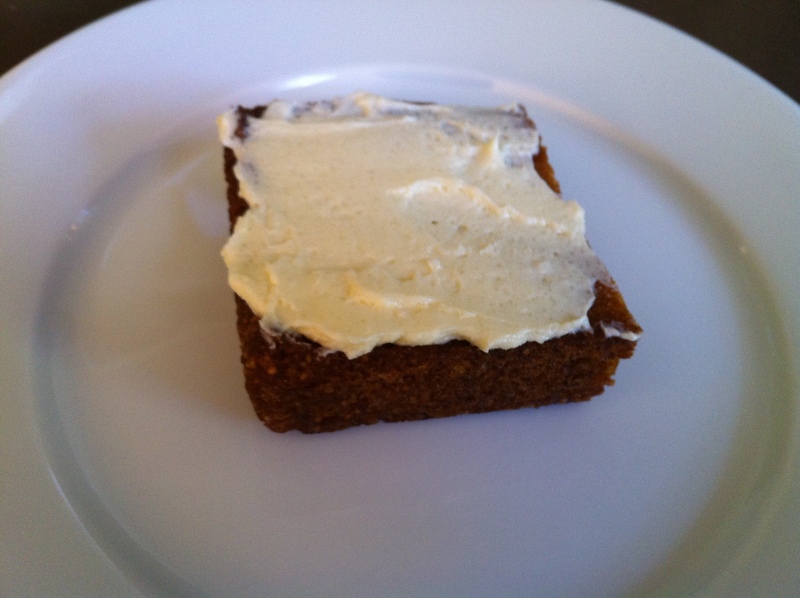 While the cake is cooling, make frosting by beating butter, cream cheese, Truvia (6g), and vanilla. Cut the cooled cake into half. Spread 1/3 of the cream cheese frosting on top of one cake piece. Top it with the other cake piece to create second layer. Spread the remaining frosting on the top. 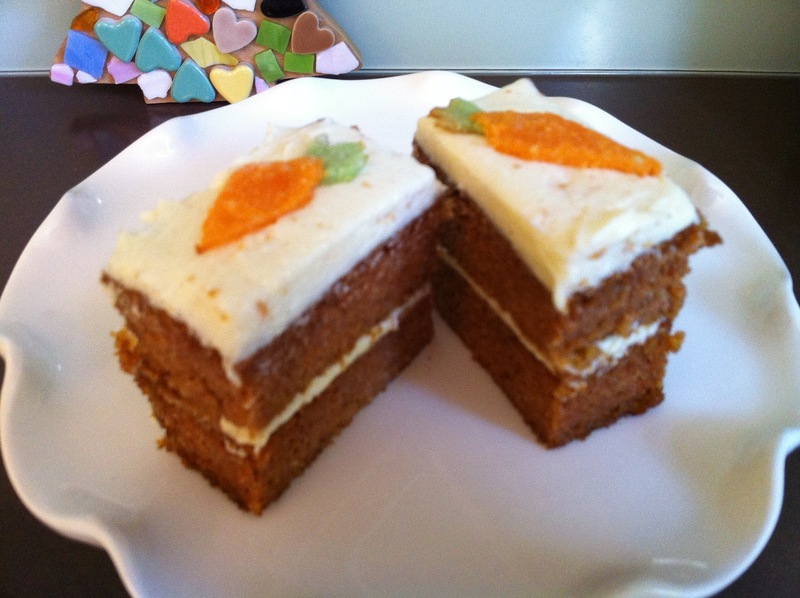 Slice the cake into two before serving. Each slice will be one serving. The decoration cookie i have in the picture is made using scraps I have saved after making cut-out cookies from before. I usually have them ready in different colors and keep them in the freezer to use as decorations. just cut out to desired shape and bake at 320F for 3-4 minutes. Another way to make the carrot shape will be to save little bit of the frosting and color them and pipe them out in carrot shape.